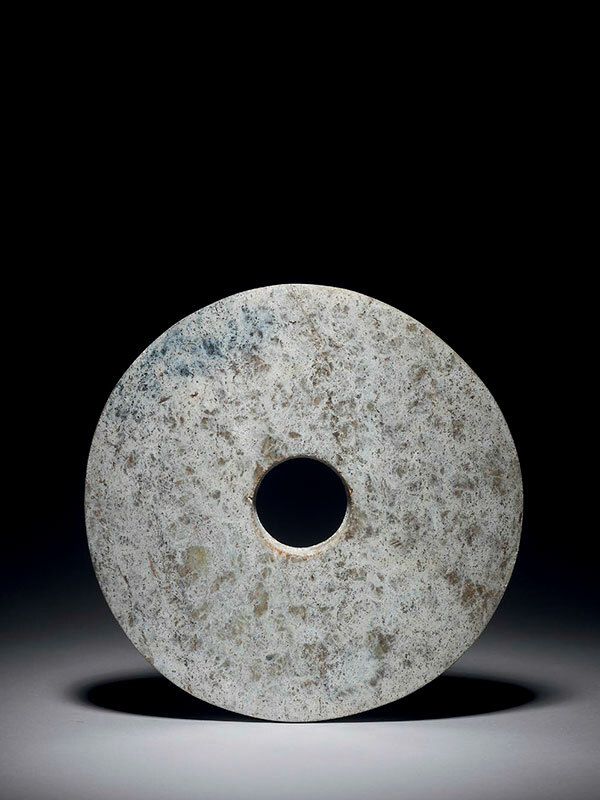 A jade bi disc of uneven thickness. Its central, circular aperture is cut from both sides, leaving a ridge in the centre and visible grinding lines to either side of it. The stone is of predominantly light greenish tone with areas of greyish inclusions all over and dark bluish patches around the edges with a few strands of white veining. Some calcified areas are visible. The disc is completely unadorned and its surface is well polished on both sides.